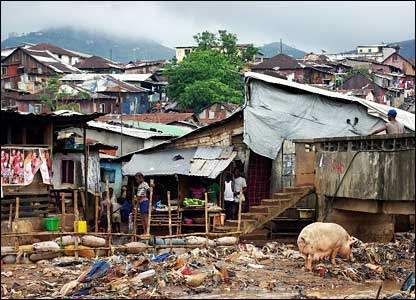 Many analysts believe that Sierra Leone’s economic development will continue to stumble and stall – notwithstanding recent improvement in GDP, just as long as those in power in Freetown continue to refuse to honestly devolve power to the regions. Current debate about the country’s Constitution is raising serious questions about the way Sierra Leone is being governed. The relationship between central and local government has to fundamentally change, if the country is to successfully harness its natural and human resources, and tackle poverty. Although millions of dollars have been spent since the start of the decentralisation process in 2004, there has been very little impact on local economic development and the quality of life of people. Key decisions about budgets and the provision of health care, education, access to water and electricity are being made by bureaucrats in the capital Freetown, with little reference to local development plans and priorities. Local democracy and accountability takes second place to the intransigence of those running central government. The disbursement of decentralisation budgets by the government is politically driven, with some local councils – especially those outside the direct control of the ruling APC party suffering the most from deprivation of funds. 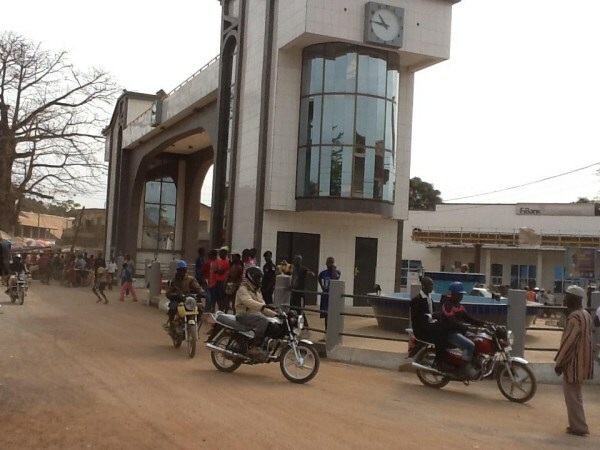 But as John Baimba Sesay reports, the Mayor of Makeni City – Mrs. Sunkarie kabba Kamara, is now calling for strong commitment to the devolution process by ministries, government departments and public agencies. 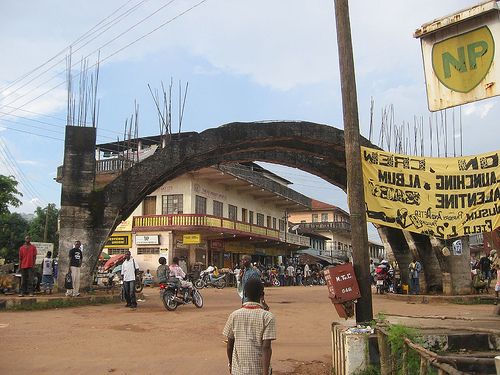 Sierra Leone reintroduced the decentralization process in 2004, following the enactment of the local Government Act the same year. The first half of a decade following its reintroduction, was seen as a learning curve for local councillors and a test of the entire process, following its demise in the 1970s. However, very little was achieved, with an apparent lack of political commitment to ensuring the process was fully operational in a country that had gone through a decade of civil war. The commencement of the decentralization process was faced with a lot of challenges, especially in terms of the willingness and commitment of Ministries, Departments and Agencies to devolve a number of their functions to the councils, as outlined in the Third Schedule of the Local Government Act 2004. What was also apparent, following 2004, was the seeming lack of political will on the part of the country’s leadership to effectively push the smooth running of the process all over the country. However, after the last five years there is promising future for a proper and well coordinated decentralization process in Sierra Leone. With more funds now given to local councils, and with devolution having kicked off – though not with new challenges – the government of president Ernest Bai Koroma has given a new and practical meaning to decentralization. It has clearly outlined its political will to foster national development through the country’s nineteen local councils. The current Mayor of Makeni city – northern Sierra Leone – Mrs. Sunkarie Kabba Kamara, who has been in the job for close to one year, is the first woman to be elected to that office. An idealistically oriented woman, with passion for social activism, deeply concerned with, and connected to people, especially children. Mayor Sunkarie Kabba Kamara is conversant with the operations of non-governmental organizations and their role in promoting good governance, peace building, child protection and sustainable youth and women’s empowerment programmes. 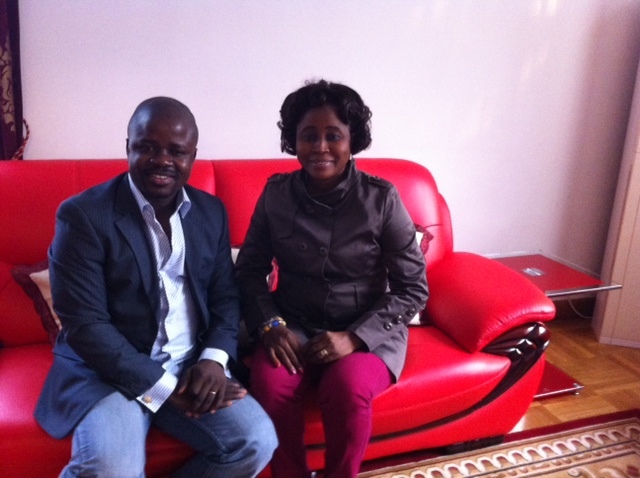 (Photo: Mayor and John Baimba Sesay). She was in China on the 23th October to attend the first World Agri-tourism Development Forum in Changsha City, Hunan Province. Before her departure for Sierra Leone, I caught up with her for an exclusive interview on the outcome of her visit and a range of other governance issues affecting the decentralisation process in her council and city of Makeni. SKK: I am very impressed by what I saw. This is because the way we perceive China from the outside is different, when you visit the country. We used to see China as a closed society, but I was impressed by the hospitality of the people and the development that they have attained. You can’t even tell the difference between the city and the countryside. Agri-tourism, for Sierra Leone, is something new as we are treating tourism as a separate entity, unlike here where tourism is blended with agricultural activities. And this makes the whole process more unique in the sense that the tourist stands to benefit, just as much as the farmers. I was also impressed with presentations made by representatives of countries that have made progress in Agri-tourism, including Malaysia, Korea, and many others. We have established contacts and some have even extended invitation for me to visit their countries to learn from what they are doing. They have a lot of best practices. So as a country moving towards Agri-tourism, it is worth replicating those best practices. For instance, with the experience of Malaysia, we came to know that the issue of Agri-tourism is not capital intensive. It has to do with what you have in the environment and not necessarily about Five Star Hotels. I also used the opportunity to talk about the infrastructure we have in Sierra Leone and particularly, Makeni. Probably we only now need to add value to certain areas like the making of ceramics as we have such facilities. I also spoke about the national parks which we have in the country. Makeni has a lot of potential and generally, Bombali district has great potential for Agri-tourism development. Makeni is famous for its unique batik industry and these are the products tourists may be looking out for. JBS: How would you work with the Tourism Ministry, given the knowledge you have gained out of this very strategic visit and the forum you attended? SKK: The Ministry of Tourism has to think strategically if Agri-tourism is to advance in Sierra Leone. This ministry in collaboration with Ministry of Agriculture needs to take the lead. With all that I have leant and seen, I will go back and share my experiences with the Tourism Minister. I will ensure the ministry is fully involved here. There is need for collaboration on this. JBS: We spoke on a number of issues few months ago during an interview, when you were inaugurated as the first female Mayor of Makeni. Since then to date, how has it been? SKK: I must say it is sweet and bitter. Sweet in the sense, it has been my desire to work for my people. Bitter in the sense, people have their own expectations, which are the yardsticks for me to do my work. I am the frontline person in the helm of affairs in Makeni. I champion the issue of development in my locality, but again, people have to meet their own responsibilities. The payment of taxes and house rates is obligatory, but I must confess that the compliance rate is very low. JBS: What have you done towards addressing the issue of low compliance rate? SKK: A lot of sensitization is ongoing since Demand Notices were issued. My Chief Administrator has always been on air; we have recruited Revenue Collectors, we have been working with Ward committee members and the Councillors have also been engaging with local people. The Local Government Act (2004) empowers councils to use court action as a last resort. We have taken people to court and when the names were read out and people issued with court notices, there was great compliance as we saw people coming to pay. JBS: Government, through the Decentralization Secretariat, used to give development Grants to councils. One may wonder if this is still the situation. SKK: No, it is unfortunate government has stopped and it may be affecting our operations as councils. Take Makeni City, for instance; we have a lot of traders and we have people who want more stalls to do their businesses and so we need to increase the number of stalls we have at present. And increasing market facilities within the municipality is one area I want to focus on and this means, more funds will be needed. JBS: What about the devolution aspect as outlined in the local Government Act. Are MDAs meeting their obligations? SKK: Whosoever designed the process of devolution had good intentions, because this is one of the channels we can use to deliver goods and service to our people. It is rather unfortunate we still have MDAs that are not meeting their obligations in terms of the devolution process. They devolve some aspect and hold on to others. This is making our work tough. You devolve the function without devolving the personnel, so the issue of control comes in here as you have some who will come to work when they like, and they don’t deliver services on time, since you are not responsible for those staff. Payment of salaries should be devolved to councils, so that councils can be in a better position to hold these guys accountable. So MDAs should be strongly committed to the devolution process in the country. JBS: How do you feel working in the midst of men as the Mayor? SKK: There are challenges in working with human beings in general. For those that want to undermine the system, I am able to handle such challenges with my administrative experience. I keep receiving accolades from people appreciating my efforts, but again, there always will be detractors. But this will not let me lose focus away from what I want to do in bringing the much needed development, in order to improve the quality of life of local people. David kamara: We are very happy to have you as British High Commissioner to Sierra Leone.